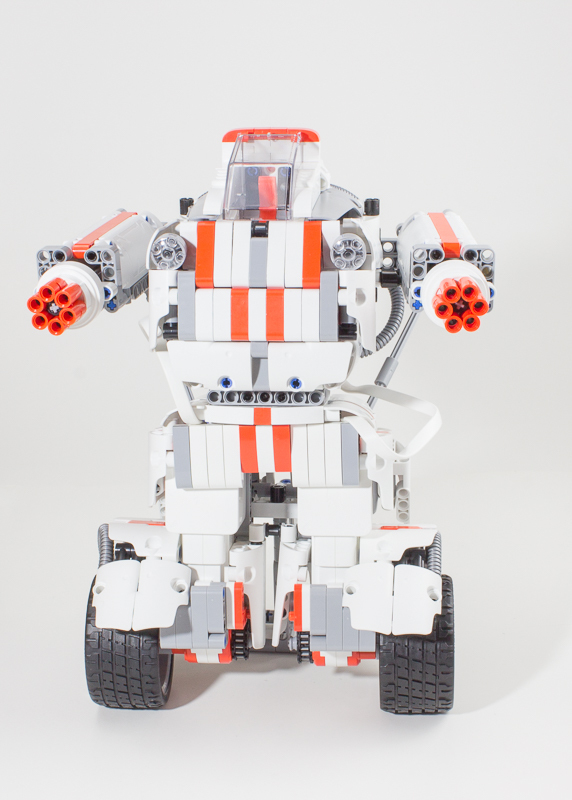 Chinese gadget titan Xiaomi recently released its Mi Robot Builder toy set to the US market on Amazon. If you or your kids are the kind of techie that can’t help but take things apart to see how they work: I’ve found the toy for you. 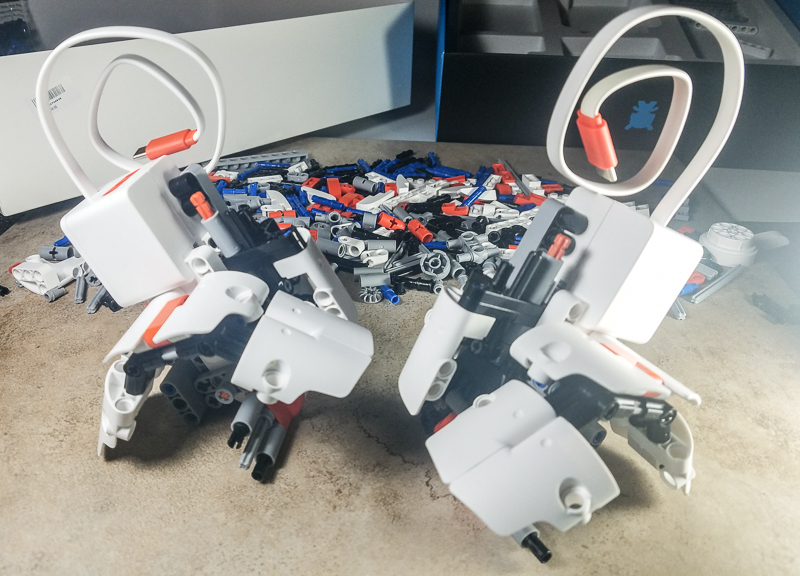 Mi Robot Builder is a brick-building toy like Legos or K’NEX, but with more horsepower: once built, your creations can be remotely controlled or programmed to perform movement routines on their own. 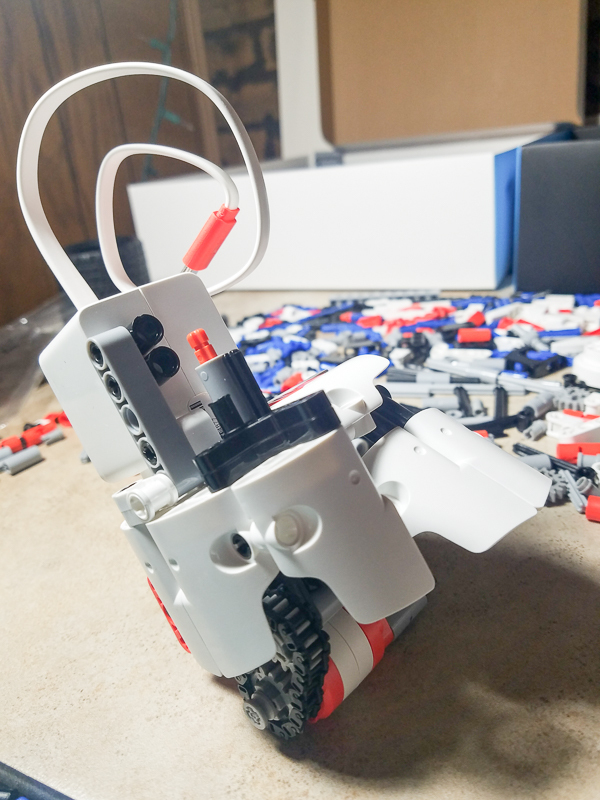 It features a self-balancing system powered by machine learning, brushless motors, and three different modes of control. 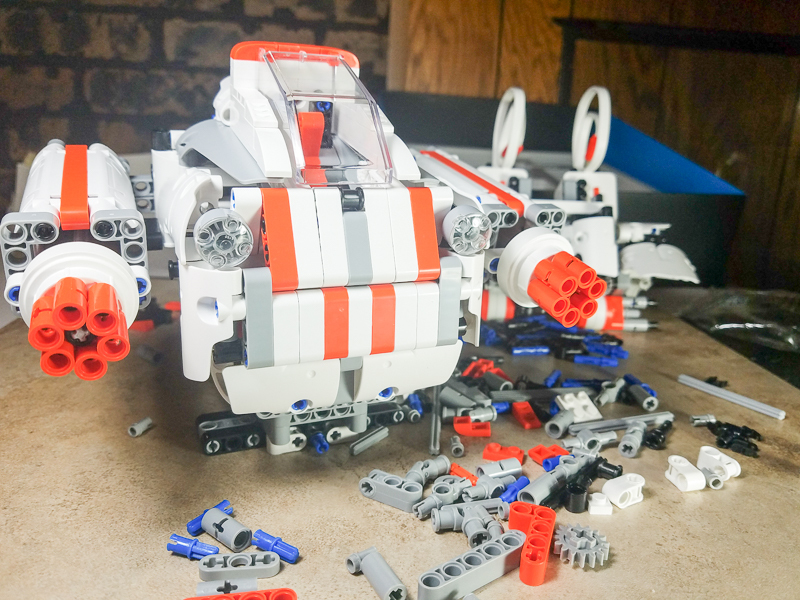 It comes with a whopping 978 pieces and instructions are included to build a robot, plane, or dinosaur. 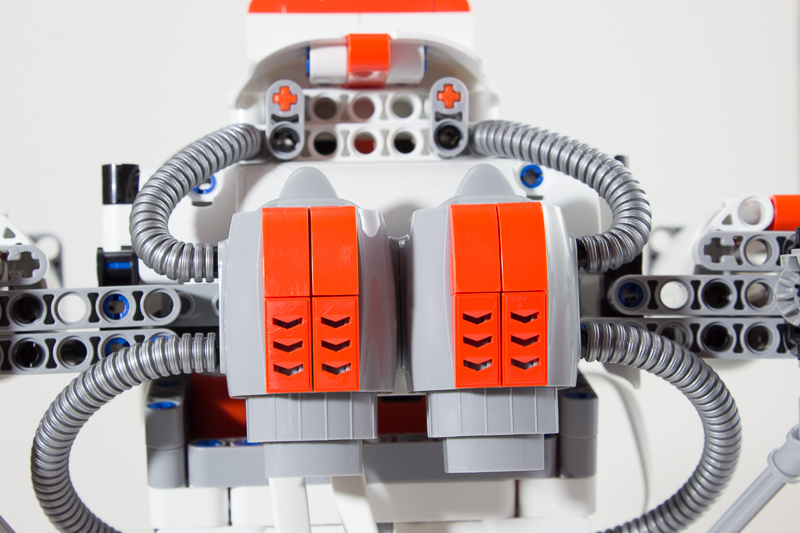 Each configuration is fully mobilized and takes advantage of the device’s self-balancing ability thanks to an ARM cpu. This isn’t the kind of project you slap together in a few minutes and then send ripping around to give your cat something to chase. Children under 12 may find it frustrating to work with alone and even adults can get exasperated looking for the tiny pieces. 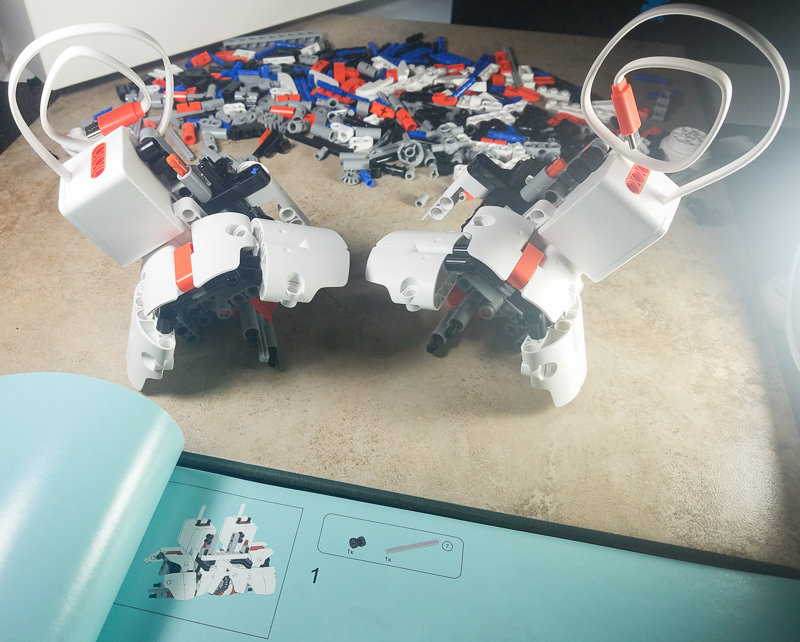 But, any of the configurations can be assembled in 30 to 60 minutes if you’re apt and determined. Plus the included booklet makes it simple to pick up where you left off if you split the assembly up over sessions like I did. The design and packaging are both compelling and minimalist. 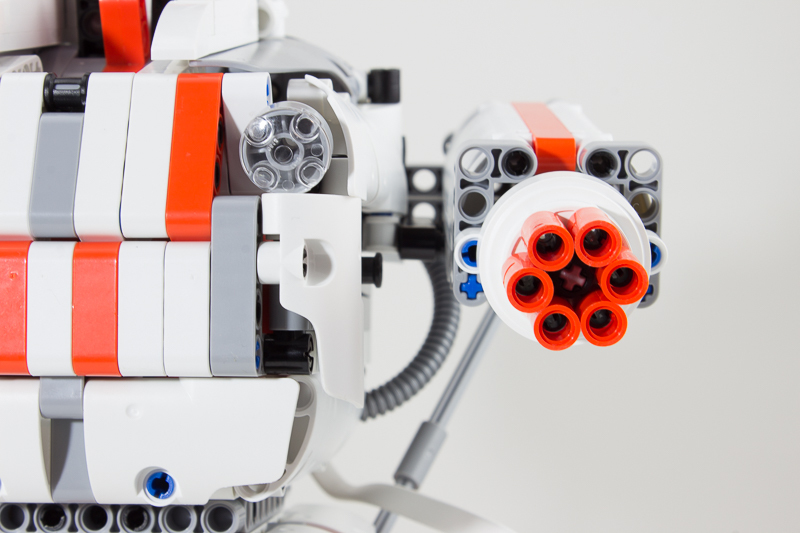 All the pieces feel solid and well-built. Flexible pieces don’t feel as though they’re brittle and the unique fastening design makes everything slide together securely without the need to force pieces into fitting. If I were judging the product solely on the brick-building experience, I’d compare it favorably to Lego or other similar toy sets. But where most of those projects stop, this one begins: the real fun starts after you’ve pieced together your creation. During my first playtest, after successfully creating a behemoth using nearly all of the pieces, my robot blew a chain and required repairs. 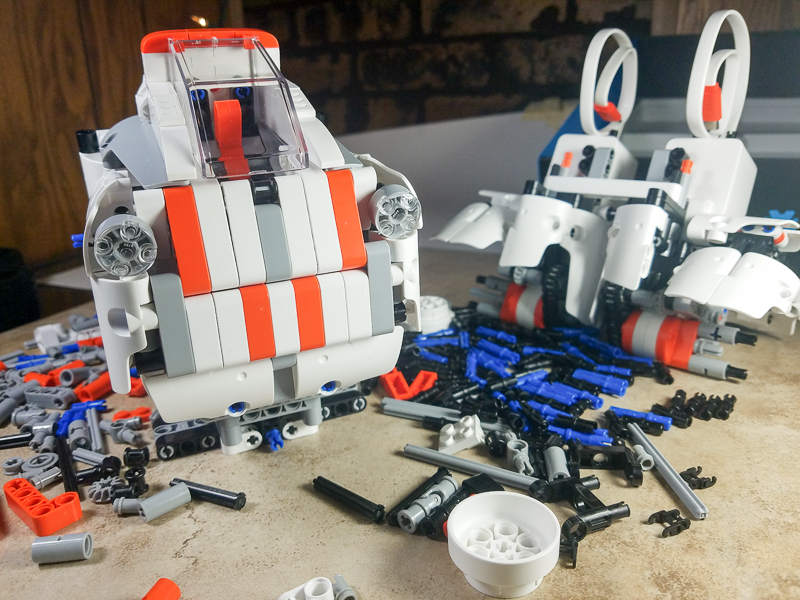 Initially I was bummed that my remote control toy was so quickly sidelined, but repairs only took a few minutes, and I actually enjoyed fixing those little problems as much as building or playing with the toy. Another area the Mi Robot Builder shines is in its app. 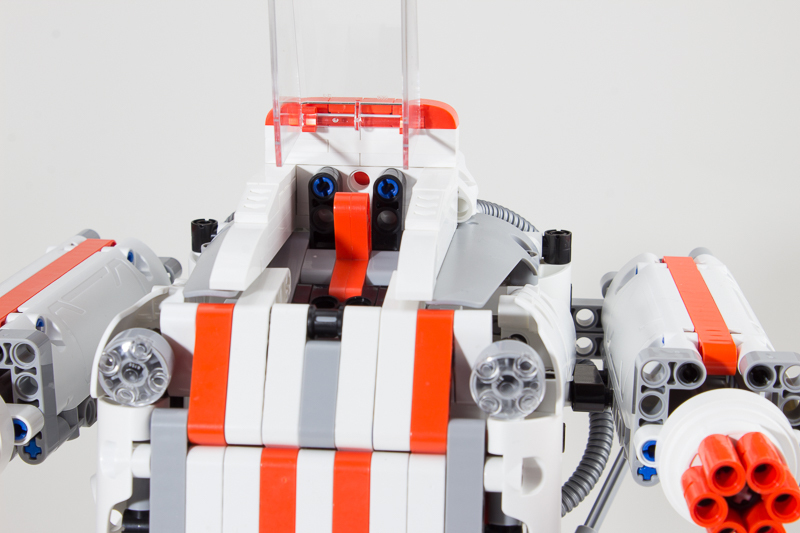 The controls are simple, it features code-free programming, and has all the bells and whistles you’d expect from a remote control toy. 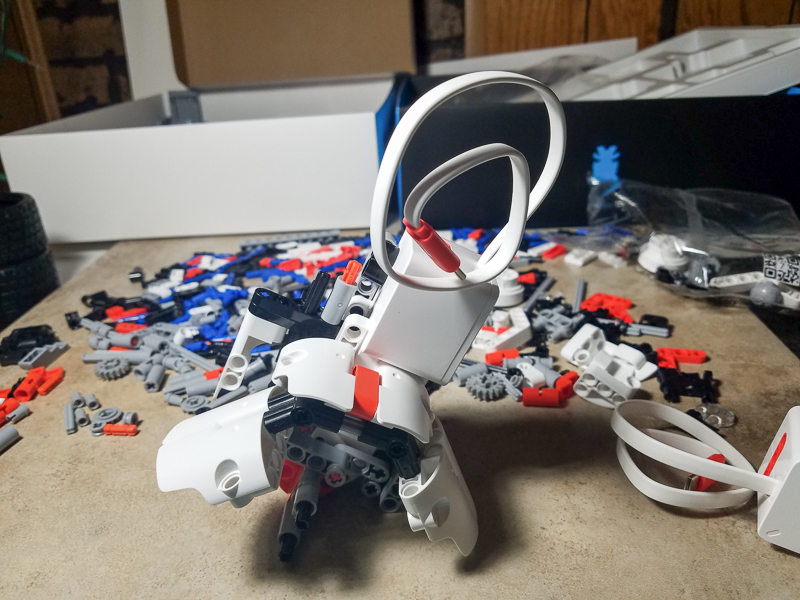 There’s very little not to like about the Mi Robot Builder. It’s more hardy than I’d thought it’d be, it actually handles crashes better than I could have expected a toy made of plastic bricks to. 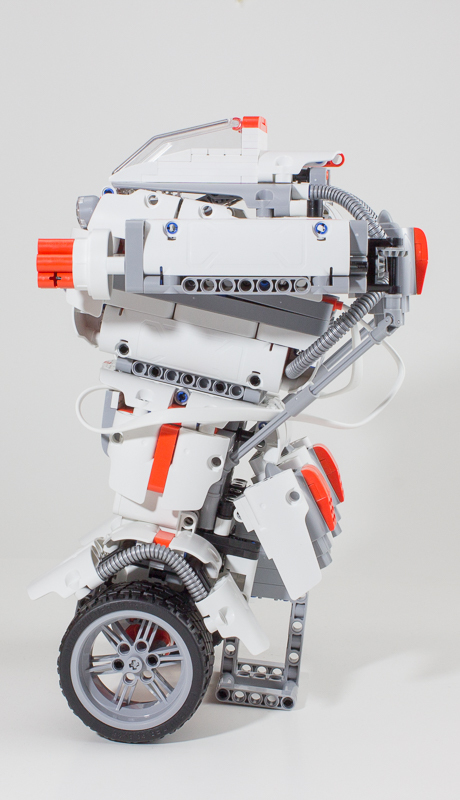 But, if you’re more interested in having a remote control robot than building one, this might not be the best choice. Pieces come off as you play and you’ll have to stop and repair or adjust your design. For me, that’s part of the fun but your mileage may vary. I heartily recommend this to parents who want to step up their STEM toy collection. 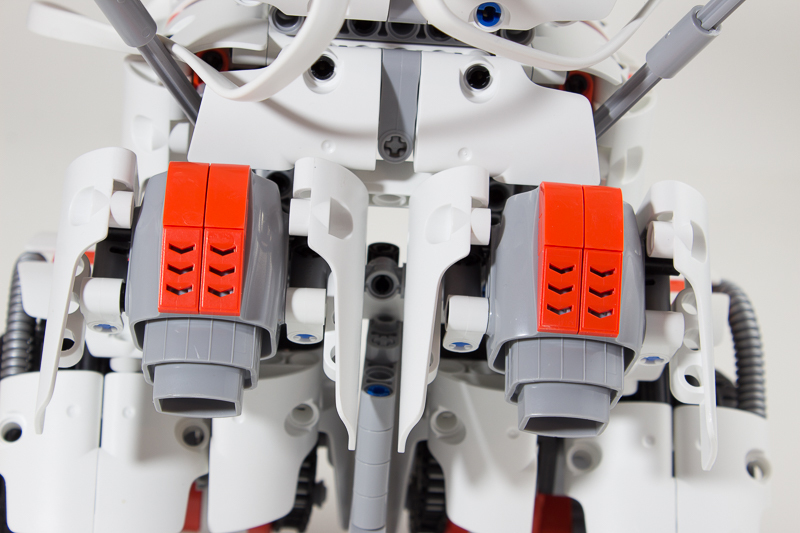 After you’ve played with pre-built robots or put together simpler kits like Kamigami, this is a great next move. You can get your Mi Robot Builder for $139.99 on Amazon here.